Bluebonnets bask in the first sunlight of a cool March morning in Marble Falls. 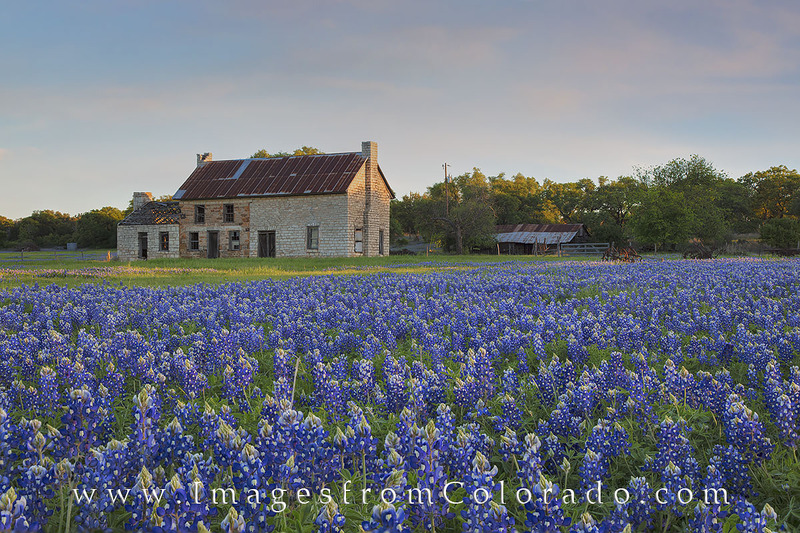 Every few years, this field around an old stone building fills with Texas’ favorite wildflower. Here, soft clouds show a little color as a beautiful day begins in the Texas Hill Country. Photo © copyright by Rob Greebon.